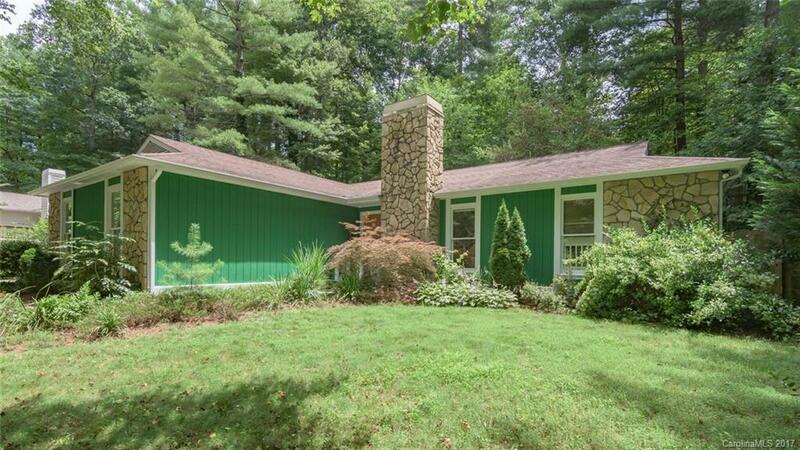 COVETED Village of Avery's Creek South AVL UPDATED ONE-LEVEL 3 BR, 2BA HOME w/double attached garage!!! Spacious OPEN floor plan w/VAULTED ceilings, SKYLIGHTS, large breakfast bar & newer WOOD-laminate flooring throughout!!! NEWER stainless steel appliances. SMILE...this Fall you get to RELAX by your GAS LOG FIREPLACE! Enjoy the PRIVACY off of either of the DECKS in your LOW MAINTENANCE, fully fenced-in backyard w/bonus electric pet fencing. BRAND NEW INTERIOR PAINT done as of 9/4/2017 -WOW!! !